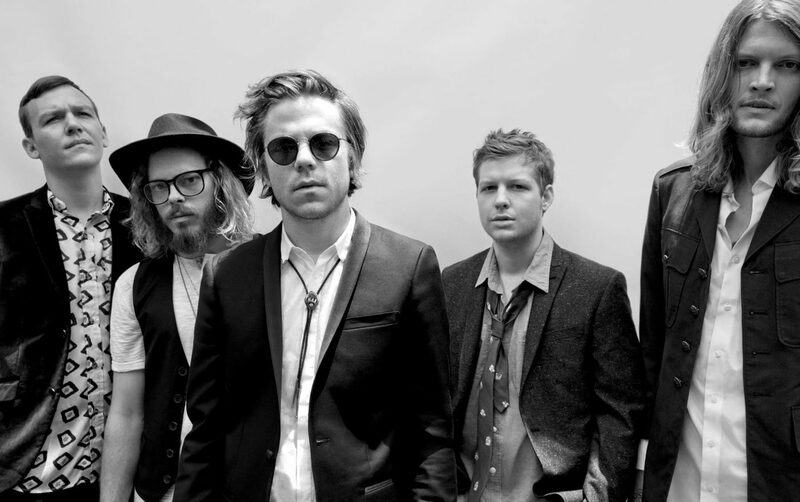 Cage the Elephant reveal plans for upcoming live album - GENRE IS DEAD! UPDATE: Unpeeled comes out July 28 via RCA Records. Pre-order your copy here. Watch their new video for “Whole Wide World” cover here. Kentucky rockers Cage the Elephant are gearing up to release a new live album. Titled Unpeeled, the features 21 tracks from the band’s catalog and also includes covers. Check out the tracklisting below. The LP is expected to drop sometime this summer. The album was inspired by their Live & Unpeeled tour, their first-ever acoustic tour that occurred this past April. Fans can get a taste of the new album with the band’s recent performance on Late Night With Seth Meyers. They unveiled a new version of “Too Late to Say Goodbye” from their 2015 Grammy-winning album, Tell Me I’m Pretty. Check out the performance below. Cage the Elephant is spending the summer playing several festivals. You can catch them at Bonnaroo, Lollapalooza, and Osheaga to name a few. Check out their tour dates here.